Who would want two companies, Tesoro and Chevron, to control more than half of California’s gasoline market? Only people, like oil company executives, who think paying five dollars a gallon should be the new normal. That could happen, though, if a deal goes through for Tesoro to buy BP’s refinery in Carson and its low-cost Arco brand. In California, the ninth largest economy in the world, gasoline refineries have shrunk from 32 in the mid-1980s to just 14, owned by only a handful of companies. The more consolidated a market, the more tempting it is to make more money by producing and selling less gasoline. California’s gasoline market is so consolidated that it is now geared to shortages and scarcity, which is why a few refinery outages and some scheduled refinery maintenance can cause a price spike of the sort you should only see in the wake of a real disaster. What’s more, if there’s one industry that has free rein in California, it’s the refinery business. California doesn’t regulate supplies of gasoline, so refineries here only keep around ten days on hand, instead of the more than three week supply most refineries do in other states. Over the last decade, Californians have consistently paid prices that are 10 to 20 cents a gallon higher than the rest of the nation. And we don’t tell refineries how much gas they’re allowed to export, and so export they do–to Mexico and Canada, among other places. So, when the system hiccups due to refinery fires, power outages, and routine maintenance that refineries don’t bother to stagger, it’s consumers that end up staggering from sharply rising gas prices as traders panic and independent stations get stuck holding the bag. As gas prices spiked in California last month to blow past even Hawaii’s highest-in-the-nation, the state’s refineries were actually exporting gas. That’s right, exporting, just like the rest of the nation’s refineries in states unaffected by our fuel cost crunch. According to the Energy Department, California is now a net exporter of fuel for the first time since 1949, despite low in-state gasoline inventories and high at-the-pump prices. According to The Los Angeles Times, California’s exports aren’t broken out of the nation’s average of more than 107 million gallons a day exported through August of this year. But data from U.S Customs Districts in California, supplied to the Commerce and Energy Departments, and parsed by the Times, shows that refiners here exported almost 38 million gallons of gasoline and almost 118 million gallons of distillates in July alone. Refiners say that selling any “excess” gas that consumers aren’t buying is a good thing for workers and shareholders. Well, don’t buy it. There is no such thing as surplus gas. It’s gas that could help mitigate prices when refineries have glitches, from fires to outages. You might like that if you are a California farmer getting royalties for the oil under your land. You might not if you are a consumer who could save money if you paid less for gasoline. California should responsibly regulate the state’s supply of gasoline to have more than 10 to 13 days on hand (most states have more like 24 days on hand), not allow companies to manipulate consumer prices by keeping inventories low. If California’s Attorney General and the Federal Trade Commission let Tesoro and BP close their deal, we’ll really be in fine fettle. Chevron already controls nearly 28 percent of California’s gas market. Together with a newly reconstituted Tesoro, the two will control 54 percent of the market. It’s not rocket science to think that these companies might want to undercut competitors and then cut supplies to raise prices. Add to that the fact that refiners like Chevron never pay the real price for the pollution they cause. That’s because regulators prefer not to sanction companies contributing many millions to the tax base. It might make lawmakers – sensitive to the campaign checks big companies write – a little bit angry. Therefore, no one signs off on refinery maintenance. When Chevron’s Richmond plant erupted in flames and sent a toxic cloud of sulfur dioxide, sulfuric acid, and nitrogen oxide spewing over the community in August, the Department of Toxic Substances Control, which has jurisdiction, refused to step in. Never mind that 15,000 people went to the hospital with eye and breathing problems. Instead, its chief counsel deferred to the Bay Area Air Quality Management District. The DTSC is good at passing the buck. Trouble is, air district regulators in the Bay Area and on the South Coast have cited Chevron dozens of times for air violations, but the fines are a joke. Records show the South Coast Air Quality Management district cited Chevron 18 times for air pollution between 2009 and 2011. Only three instances resulted in fines of up to $25,000, a pinprick on the hide of an elephant with $27 billion in annual profits. BP has been cited 24 times between 2009 and 2012. They paid fines only five times. 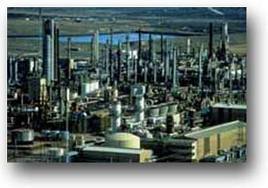 No California regulator seems to be up to the job of regulating refineries. In the case of Chevron’s Richmond fire, the EPA has launched a criminal investigation after discovering Chevron detoured pollutants around monitoring equipment for four years. According to the San Francisco Chronicle, workers complained to regulators that unchecked corrosion at the plant of the sort suspected in the August blaze was responsible for another fire last year. A federal audit of CAL OSHA’s industrial process safety unit found that the division was conducting few if any comprehensive workplace safety inspections of refineries in the state. The Federal Chemical Safety Board is now investigating the fire but has no power to punish. The BP-Tesoro refinery deal, due to close early next year, would artificially drive California gas prices up even higher. By further consolidating a market desperate for competition, with little oversight and already rife with price manipulation, oil companies will see their profits soar by shorting supply to a critical level. Californians need to urge State Attorney General Kamala Harris, to oppose the BP-Tesoro deal and to enforce responsible regulation of gas supplies and industry practices in the state. Otherwise, five dollars a gallon may soon become the new normal for consumers in the Golden State. Liza Tucker is a Consumer Advocate at Consumer Watchdog, a nationally recognized consumer group that has been fighting corrupt corporations and crooked politicians since 1985. « From Redevelopment to Civic San Diego Economic Development: A New Name and the Same Old Game? Chevron is the third largest corporation in the U.S., the largest in California, and the nation’s third most profitable company in 2011, made $26.9 billion in profits in 2011 and paid around 2% in taxes to the Federal Govrnment. ….Which is why it should be nationalized.